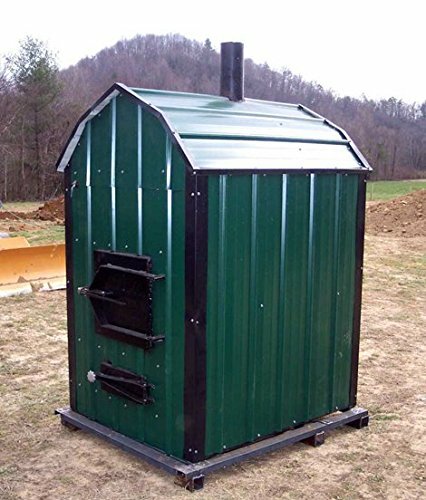 If you want to have a furnace in your home but you want to ensure safety, the outdoor wood furnace is the best choice. Since outside wood furnaces are installed separate from your home, the probability of accidental fire from your home is reduced. Since the fire hazards are decreased from your home, you can have the peace of mind to stay at home and use your furnace at the same time. Aside from fire hazards, the outdoor wood furnace will not reduce the indoor air quality of your home. It will not add impurities inside your home even if you keep the furnace burning. Thus, this type of furnace cannot cause allergic reactions when breathing the air inside your home. It has been proven that outdoor wood furnaces are more efficient compared to indoor furnaces. Outside wood furnaces were proven to use 25% to 75% less wood when turned on. With less wood used but the same amount of heat provided, you can save on utility and operation cost in your home. Moreover, outside wood furnaces can burn even large chunks of wood which will require less effort in chopping down wood or buying wood pellets. The outside wood furnace is built with accurate temperature controller so you can easily configure this setting. With this, you can provide consistent amount of warmth inside your home without any troubles. With proper furnace maintenance, you can make this kind of wood furnace last for a lifetime. Since it is properly installed outside your home and secured under a cover, it may require less cleaning. However, make sure that you check it once in a while just to be sure.